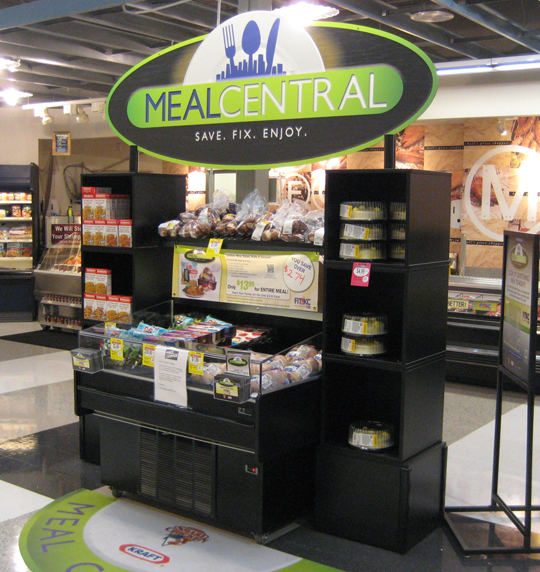 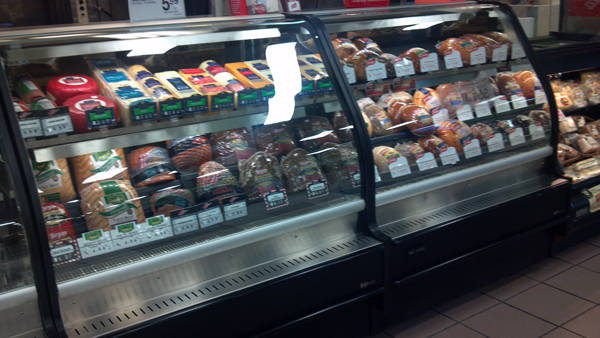 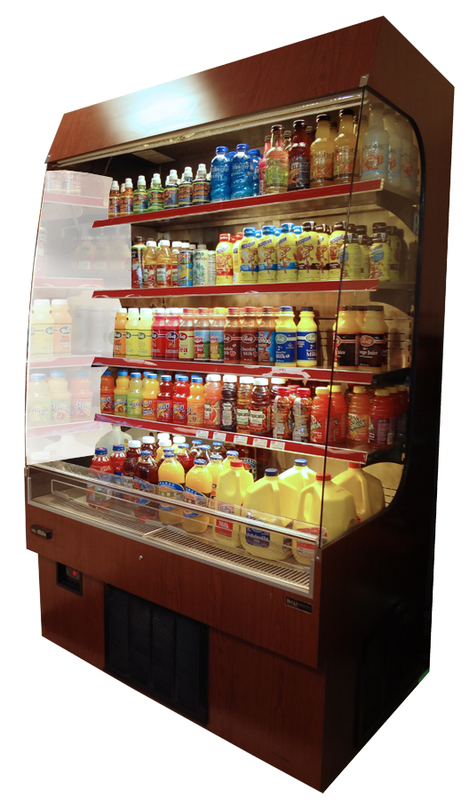 Our most popular Grab-N-Go Merchandiser! 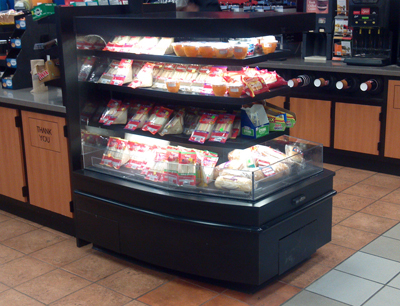 Glass end panels provide increased visibility. 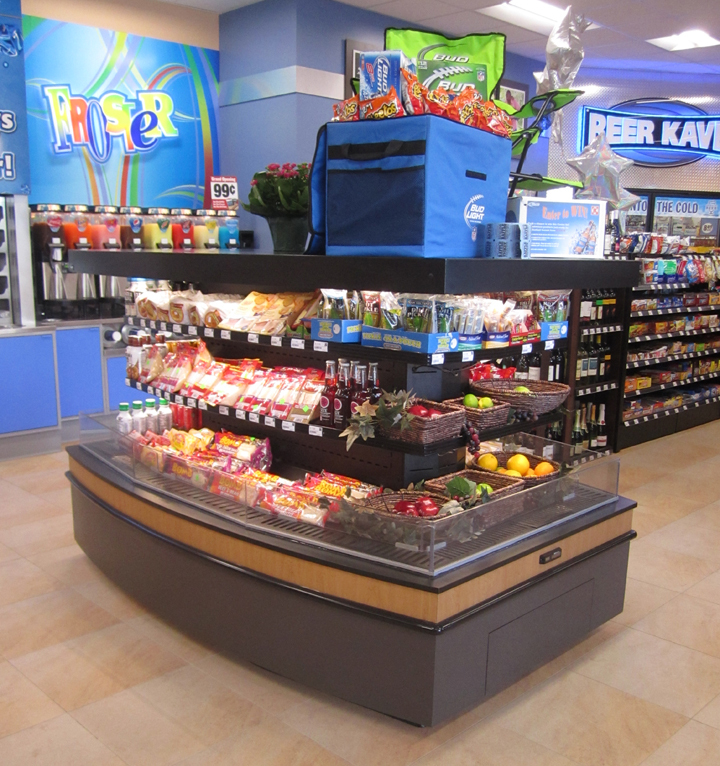 allows visability over the unit to other aisles. 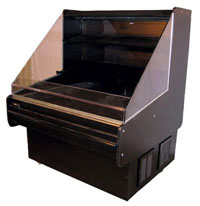 Top can be used for light weight display. 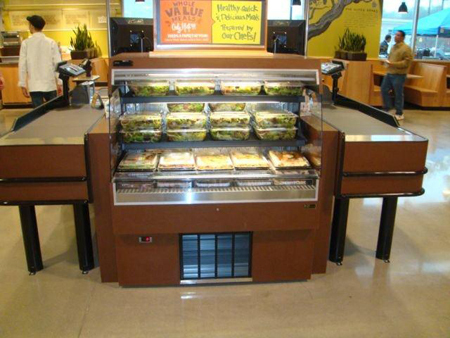 comes in 3 standard sizes. 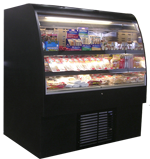 Remote or self contained refrigeration. 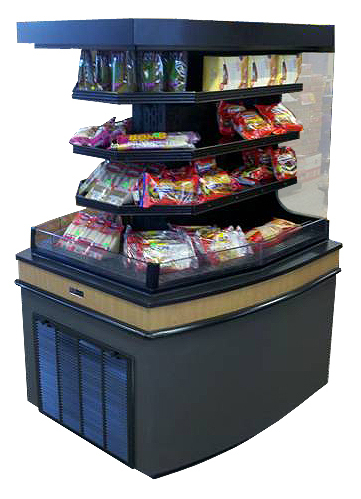 perfect to display packaged foods. 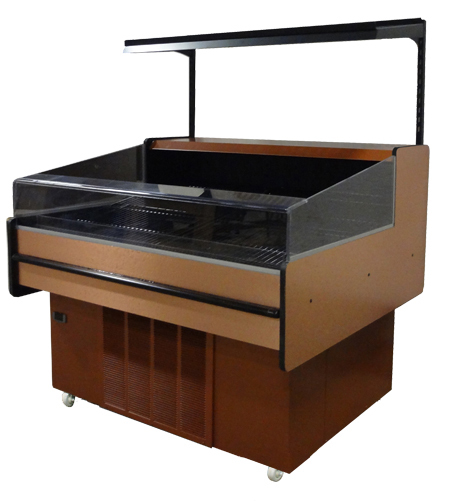 Features front lift glass and rear sliding glass door. 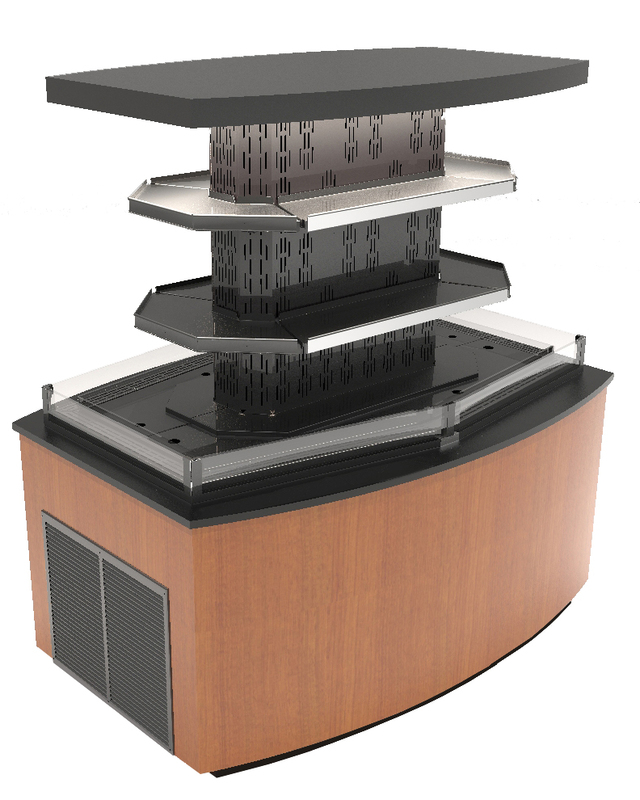 R&D Fixtures by Piper Products - Copyright © Piper Products, Inc.